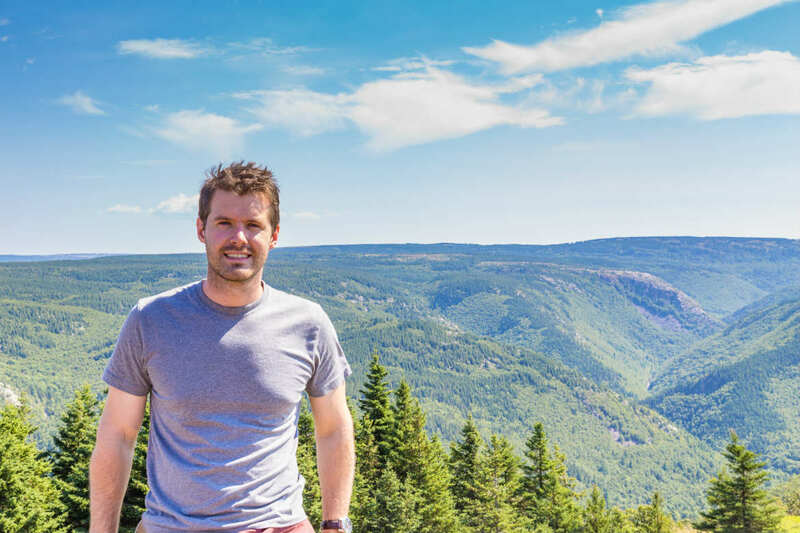 Hoping to share travel tips and ideas based on his experiences visiting destinations across the globe, Mike started his fantastic blog, Travel and Destinations. Tell us a little about yourself and your blog? I am a UK based travel blogger and photographer. In the last last five years I have also lived in Toronto, Canada and Vienna, Austria. I am now working full time in London but have travelled extensively, mainly throughout Europe and Asia. I run a blog called Travel and Destinations, where I hope to help other travellers by providing tips and suggestions based on my experiences. When did you first start blogging about your travels? What got you started? I started my blog Travel and Destinations in June 2016 because I was travelling a lot and some of my friends suggested I should start a blog. The format, look and feel has changed a lot since I started. I don’t blog necessarily about my experiences, but rather try and create content based on my experiences and the destinations I visit. I try and make the content evergreen in the sense that it should be useful for other travellers for years to come. How did you catch the travel bug? Was there a moment when you knew you had to see the world? The travel bug probably originated from my mum as she used to travel a lot with me while I was young. I then read some books from the BBC, such as “Unforgettable Places to See Before You Die”, which really sparked my interest in travelling more and to ‘travel’ more as opposed to going on ‘holiday’, such as just to a beach resort. I have been inspired by destinations I’ve see on Instagram and have sometimes seen places and then gone and booked a trip. Hopefully some of the pictures on social media also inspire people in the same way. What do you look for in a destination when you’re planning a holiday? When planning where to go next, I’ll be looking at the attractions and culture of the destination, as well as the photography opportunities (being a keen photographer). I am also very cost aware, so before booking a trip I will be looking at accommodation costs before I’ve even booked my flight, or train. Often when I travel I wouldn’t necessarily consider it a holiday, but rather I travel to experience a place and so as to create content for my blog and Instagram. Which destination would you recommend and why? Vietnam is a very special destination to me. I loved the culture of the people and found it seemed like all the locals were extremely hard working, with the ladies selling vegetables and other items along the streets to shops and passers by, and the men working hard in moped repair shops, providing taxi services, or involved in other jobs. What has been your most memorable travel experience so far? I feel grateful for all the incredible experiences I’ve had so far as a travel blogger. If I was going to pin it down to one trip it would be a trip to Alberta in Canada earlier this year. During this trip I saw an artificial ice castle, went snowboarding in Lake Louise and Marmot Basin, explored an ice canyon, saw some Canadian wildlife and had lots of other incredible experiences. I didn’t realise just how much there was to do in Alberta in the winter, but was blown away by some of the awesome activities available. Are there any destinations that ended up being completely different to what you imagined? If so, how? Actually I was expecting Vietnam to be completely run down and thought the people were not going to be that nice. Some of this preconception was based on reading an article by a famous travel blogger. I’m actually really glad I didn’t get put off by his article and instead went there as it is now one of my favourite destinations in Asia. Where did you go on your most recent trip? One of my most recent trips was a bit different and I went to Bulgaria. I stayed there for a little over a week and started in the capital Sofia. I then helped out at a dog sanctuary called Helen’s House of Hope in a place called Dobrolevo (in the north of the country). While there I helped look after the dogs, feed them, took them for walks and gave them lots of attention. It was nice to travel for a good cause and help others that were in need. Over the next few months I will be going to Vienna, Luxembourg and Malta. I am already thinking about where to go in 2019 and hope to go to some less touristy destinations. Follow me and stay tuned to found out where I end up going! Ready to set out on your own adventures? Find flights, hotels, hire cars, and more, with Webjet today! Feature Image Credit: Travel and Destinations.